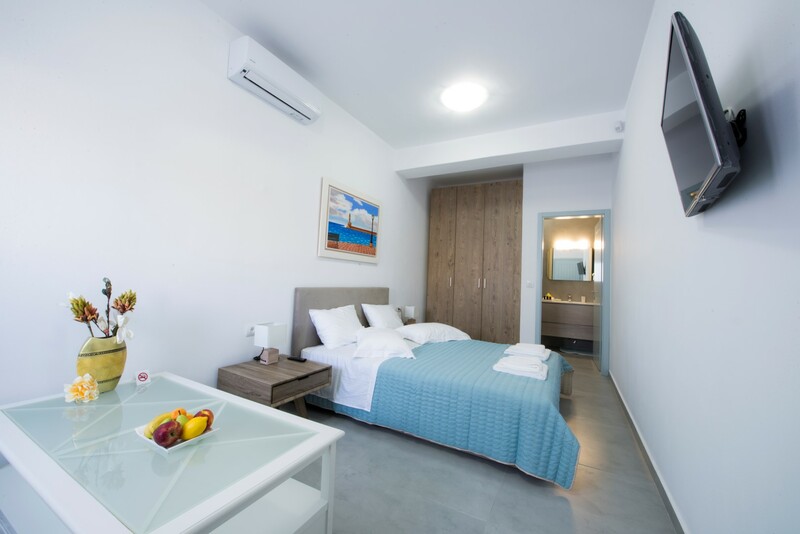 Location: The complex is located in the relaxing area of Exo Gialos which is close to the beach of Monolithos on the eastern side of the island. 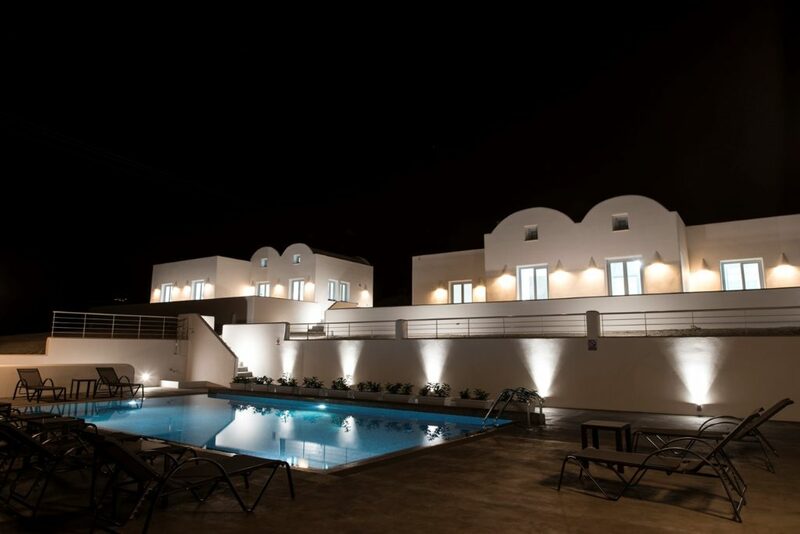 In the area are a number of traditional Greek tavernas and the island’s capital Thira is around 15 minutes by car. 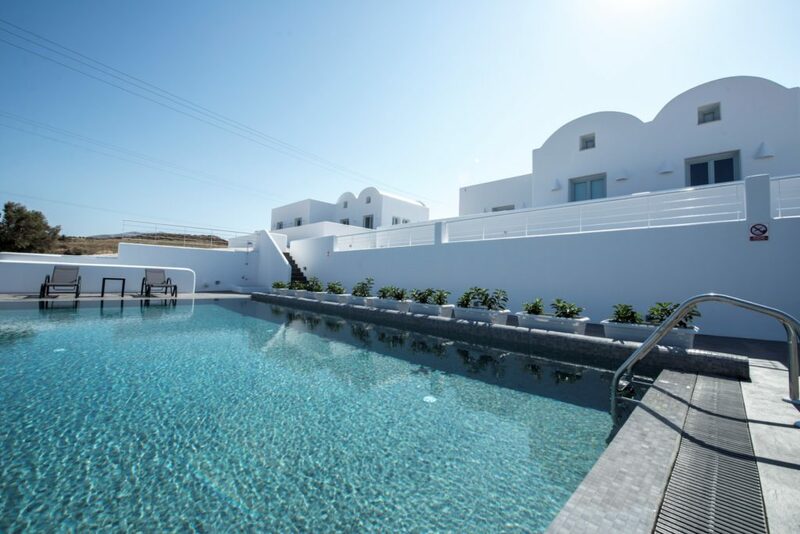 This complex is an ideal location for peace and quiet with all the islands attractions close by. 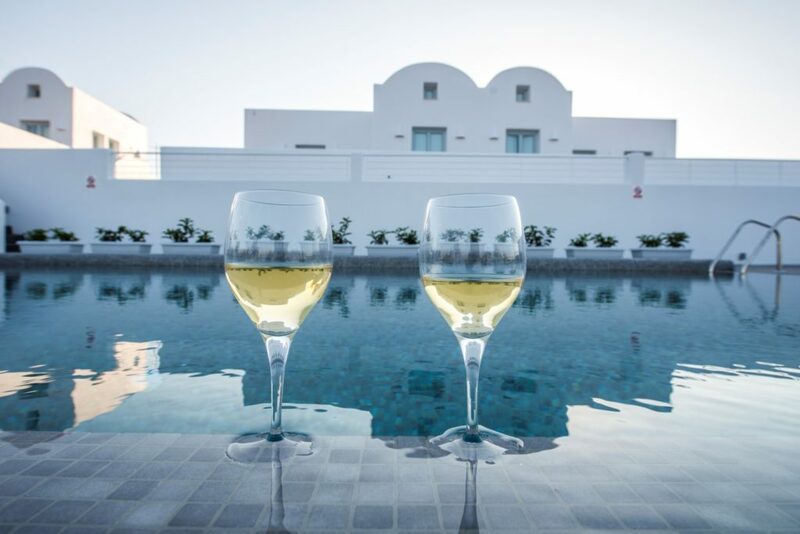 The Sea and Sand Santorini is a small luxury complex offering contemporary style accommodation that sleep’s up to 12 guests in total comfort and relaxation. 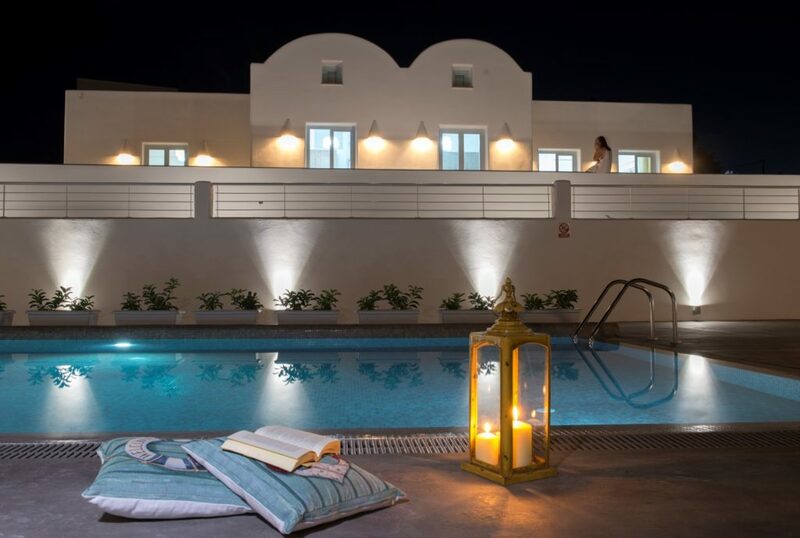 Located on the eastern side of the island close to the capital Fira and just a short distance from the island’s airport. 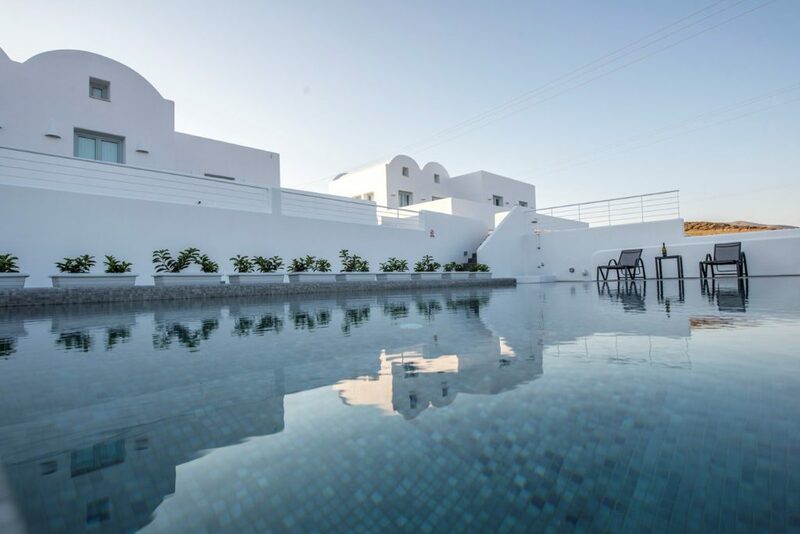 The complex features a beautiful pool area with sun loungers and great views across the sparkling Aegean to the island of Anafi. 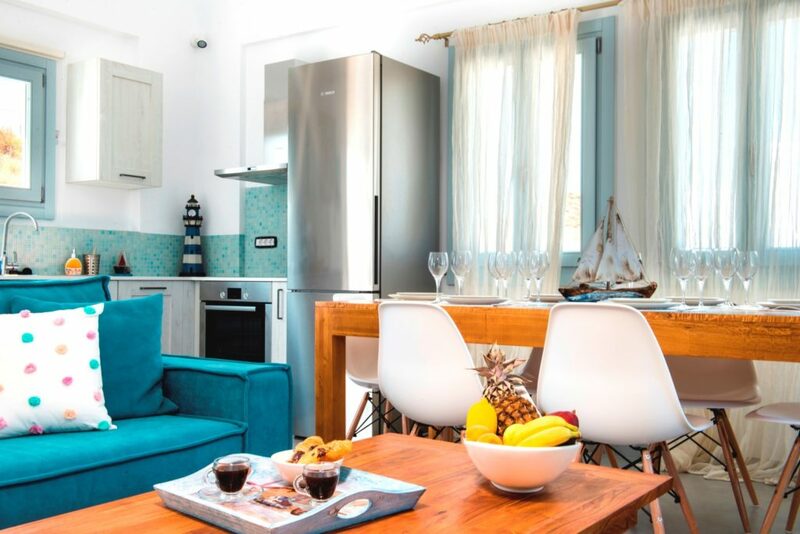 The property can be booked as a whole or as individual units. 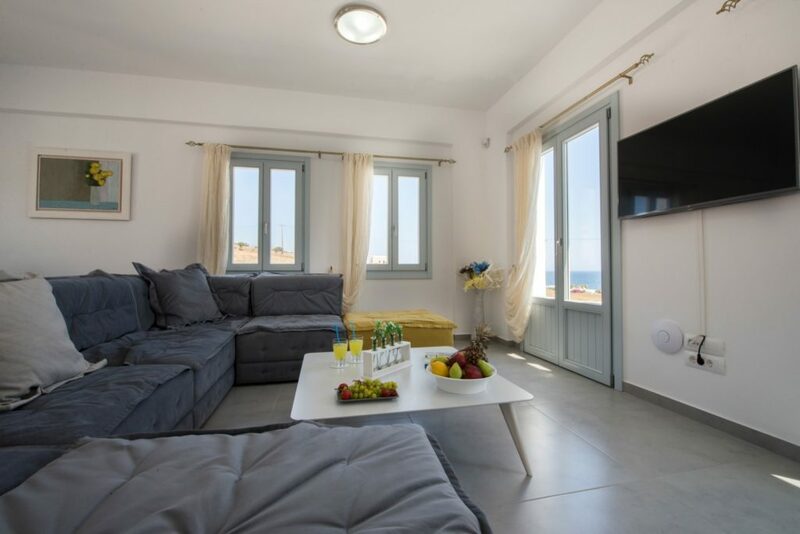 The complex was newly built in 2015 and offers 3 properties with a delightful pool area and lovely sea views along the east coast making it an ideal choice for a quiet vacation but with all facilities close by. 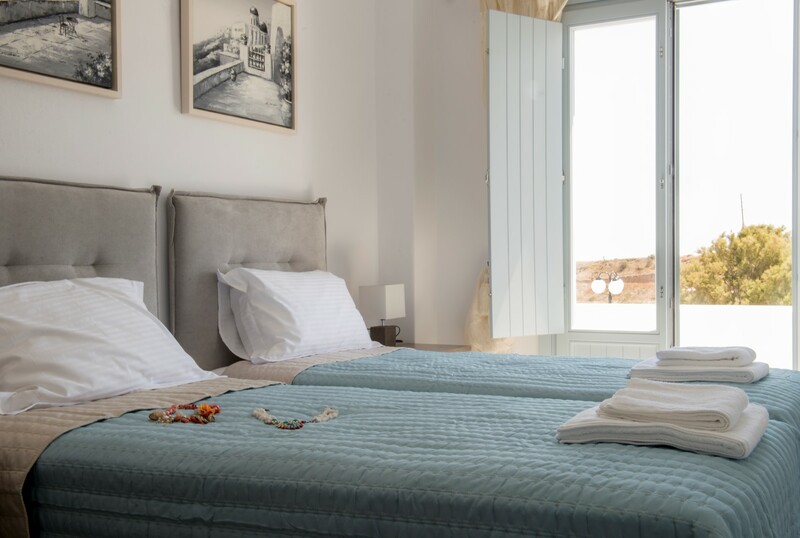 The villa can sleep up to 6 guests in comfort offering a master bedroom with queen size bed and en suite bathroom with jacuzzi. 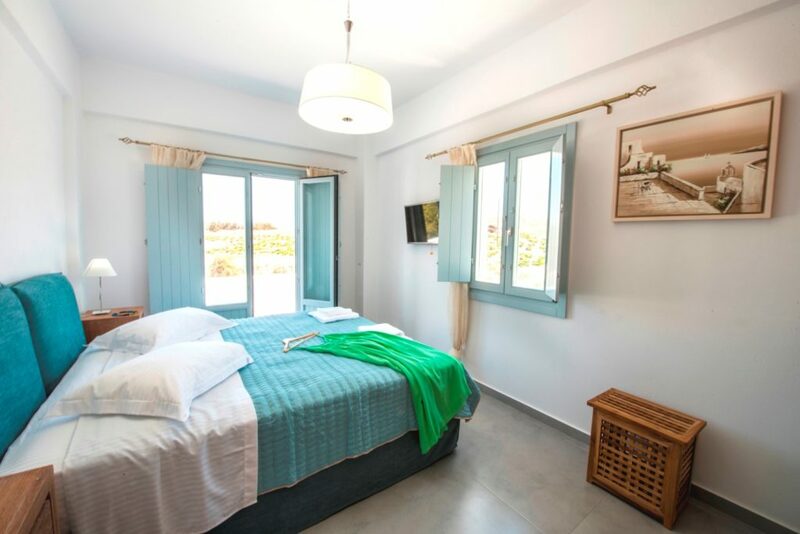 The second bedroom with a double bed and the third room with 2 single beds. All of the bedrooms are air conditioned very well furnished and feature a flat-screen TV. 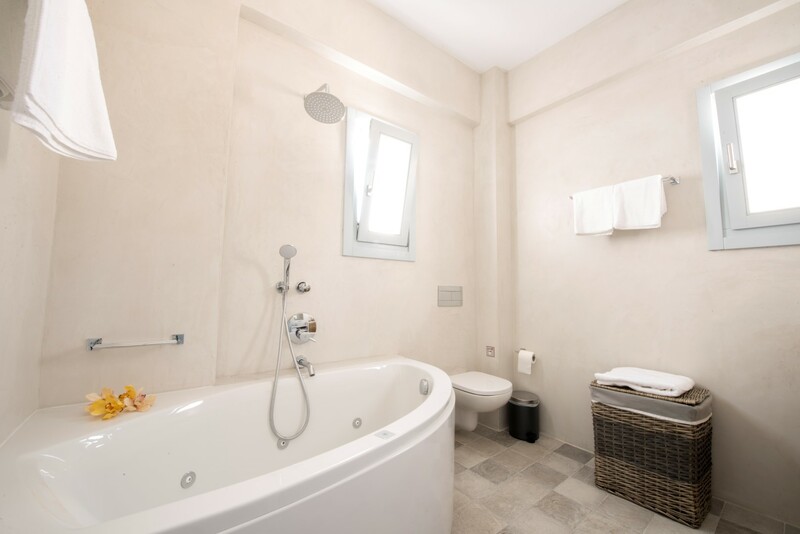 A further bathroom with shower and toilet, well-furnished terrace with lovely sea views and an open plan living space with adjoining kitchen. 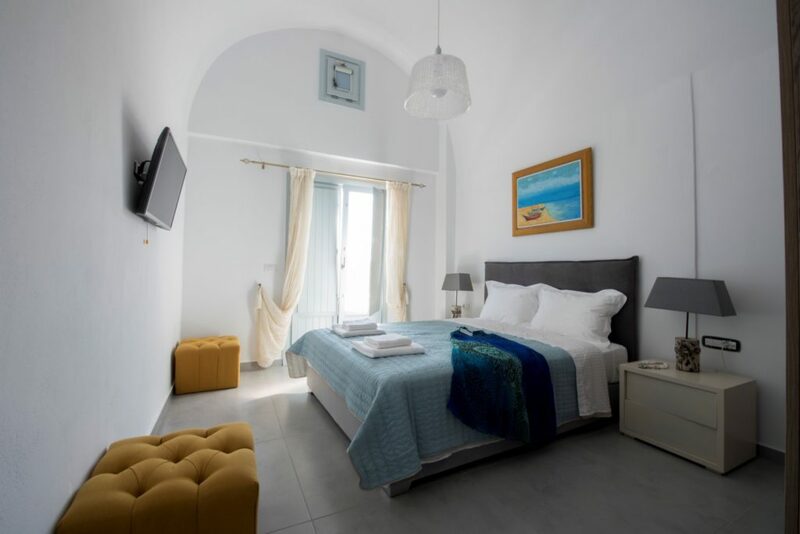 This well-furnished villa can sleep up to 4 guests making it an ideal choice for 2 couples or a family looking for a great holiday base in Santorini. 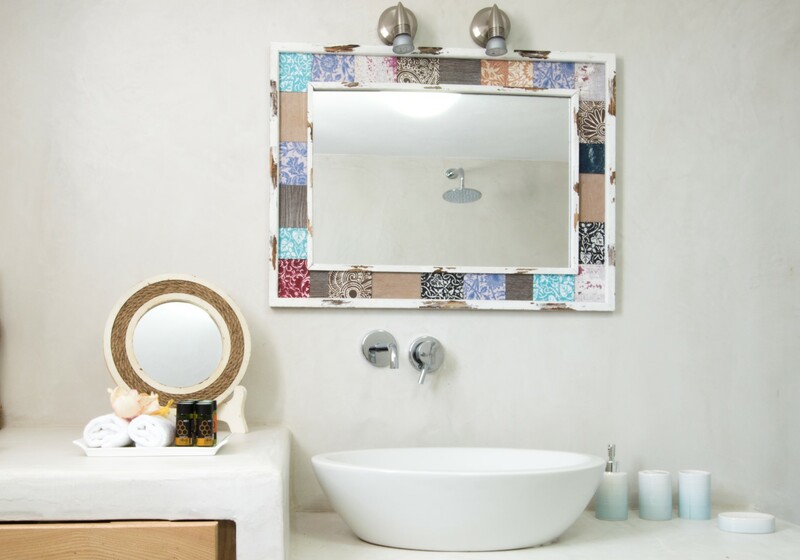 The master bedroom is en suite with queen size bed and jacuzzi bathroom. 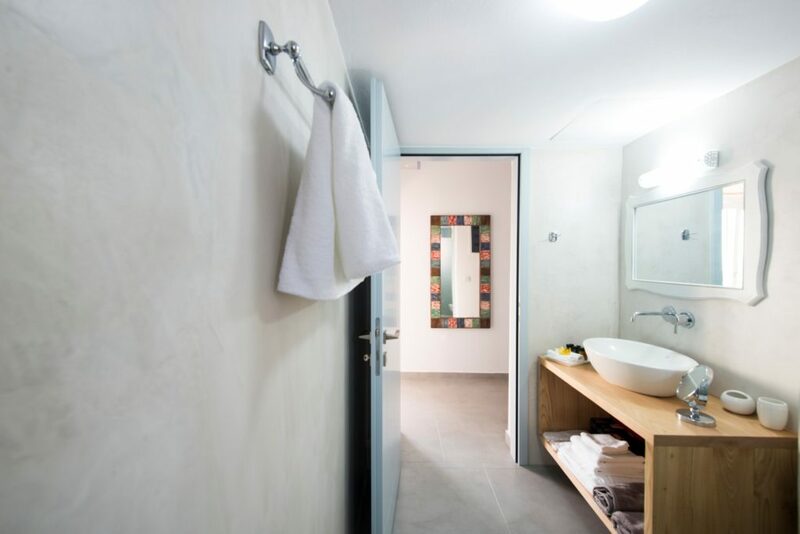 The second bedroom has 2 single beds with the use of its own bathroom offering shower and toilet. 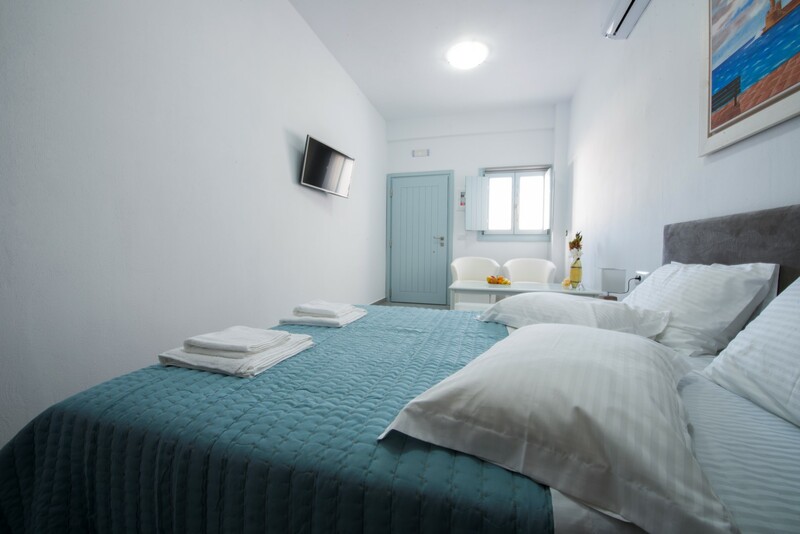 All of the comfortable bedrooms feature air conditioning and a flat-screen TV. 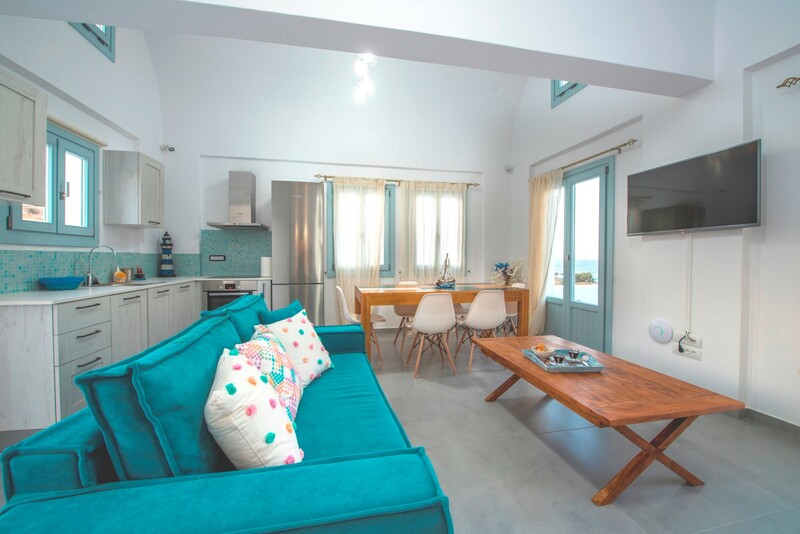 The living area is open plan with a well-fitted fitted kitchen, living and dining area plus SAT TV. 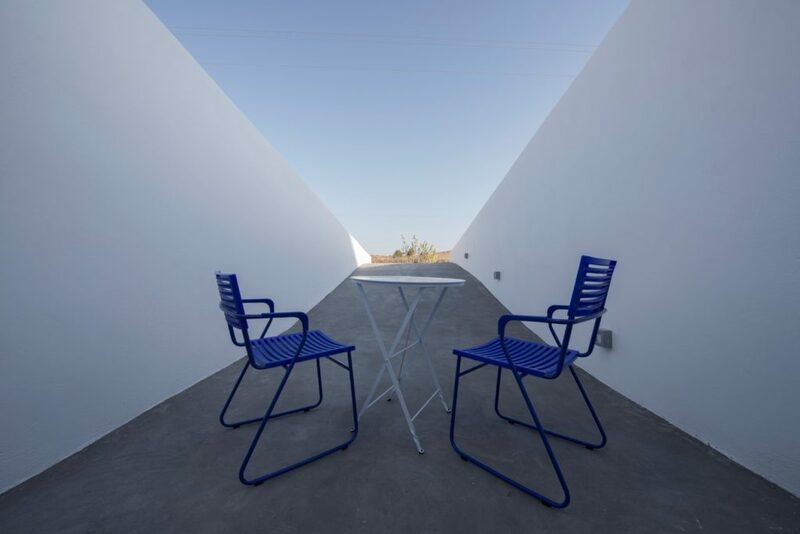 Furnished terrace with Sea views. Comfortable apartment offering a relaxing private area, this semi-basement apartment is a great choice for a couple looking for a private location. 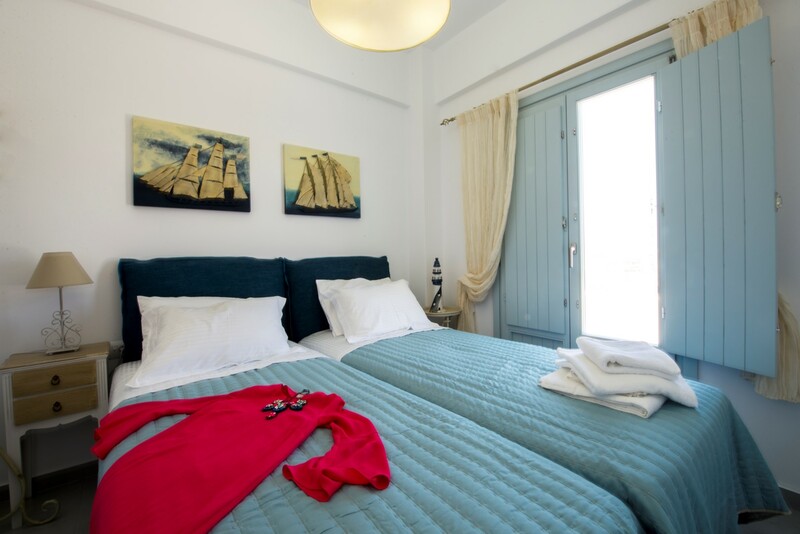 The bedroom is well furnished with double bed, flat screen TV, small sitting area and a bathroom with shower and WC. 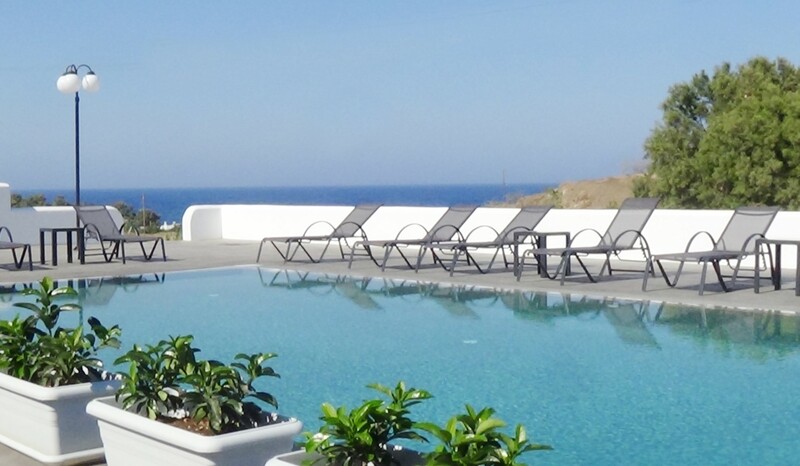 Swimming Pool: The complex has an attractive swimming pool area with sunbeds and great sea views. Air Conditioning: All of the properties offer air conditioning. 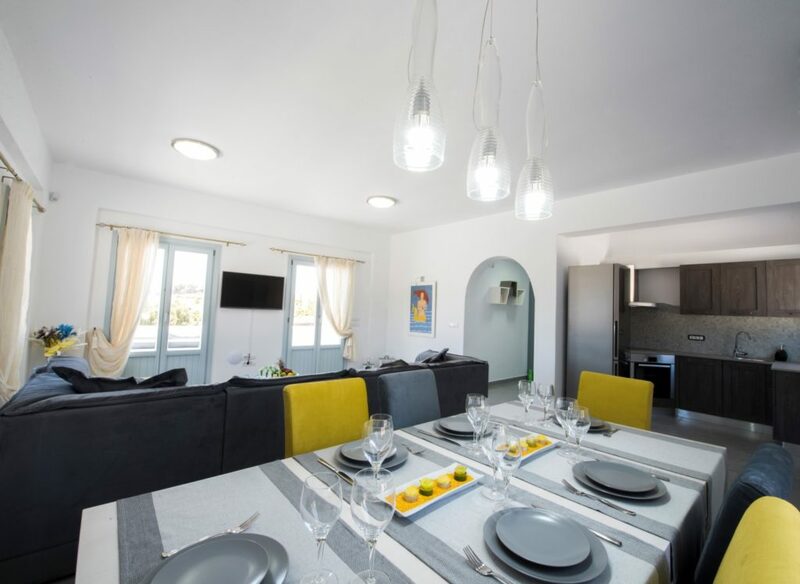 Kitchen: Both of the villas have fully equipped kitchens with the most up to date appliances. Master bedroom with double bed, small sitting area and en suite shower room. Minimum stay: Depending on the season, please contact us for more details. Charges included: Water, electricity, linen, towels, cleaning, pool maintenance, taxes.